After a brief spell away, we are back with the last entry of 2018 in our Stories with Substance series. 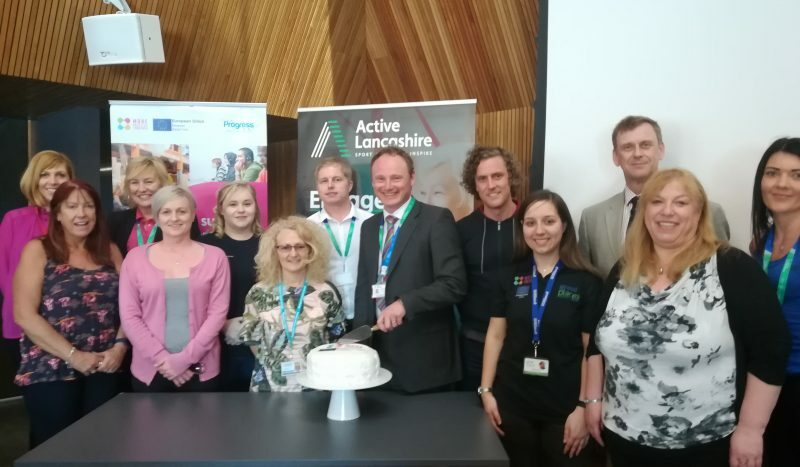 This time, highlighting how Views has supported the great work being done by Active Lancashire’s ‘Move Positive Together’ (MPT) project. Building on their hugely successful pilot ‘Positive Together’, Active Lancashire designed the £6m MPT project with the target to address the needs of 2250 Lancashire residents located in the most deprived neighbourhoods. Through a programme of one to one mentoring in combination with a variety of work experience, apprenticeships, volunteering and training opportunities, MPT seeks to improve employment prospects, increase self-sufficiency and enhance physical & mental health for every participant. In order to achieve their ambitious goal, the MPT project brought together social housing organisations and local authorities from across the county with several other key delivery partners. In combination, these partners contribute a wealth of experience in delivering similar services as well as a clear understanding of the difficulties that inhibit local residents from accessing training and employment opportunities. However, like many complex multi-agency projects, Active Lancashire faced hurdles in order to maximise the work being done and, more specifically, the method by which the MPT project data is captured and reported on. Carol Ross (Service Development Manager) emphasised the need for a “centralised system which could be accessed by up to 16 delivery organisations simultaneously.” This is where the Views Monitoring and Evaluation system came in, Active Lancashire approached Substance with the need for a system which not only allowed for centralised data capture but also easy analysis at project and partner level. Moreover, Views had to demonstrate the robustness and flexibility to meet a host of European Social Fund reporting requirements attached to the MPT project. This impact cannot be understated, as we draw ever closer to the festive period, the work of Active Lancashire can be said to be growing in its importance. The ability of the MPT project to not only provide employability opportunities but also improve participants’ mental, physical and social well-being is changing the lives of hundreds across the county.